Click on the link below to access the current Water Report for the Town of Polkton. Click on the link below to access the current Utility Rates document for the Town of Polkton. Click on the link below to access the Dog Registration Form. 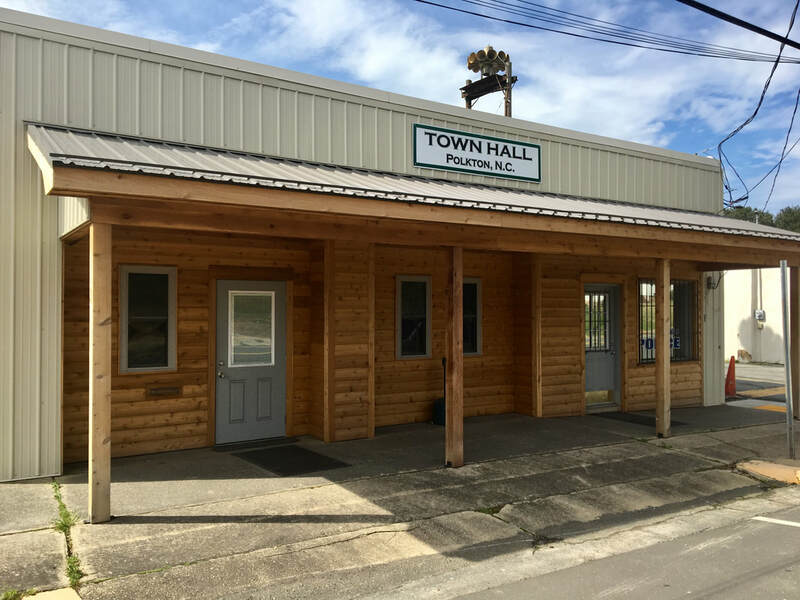 The completed form should be turned into Town Hall during regular business hours. Click on the link below to access the Park Use Agreement for East Polkton Park. Completed forms should be submitted to Town Hall during normal business hours at least one week before your event. Location: Polkton is located along U.S. Highway 74 in Anson County, North Carolina, about one hour east of Charlotte and 7 miles west of Wadesboro, NC. Turn north at the intersection of 218 and 74, cross the railroad tracks and turn left at the next corner. Town Hall is on the left at 35 W. Polk Street. Copyright 2016. Town of Polkton, North Carolina.